The impact of long product development cycles, global competition, and current Good Manufacturing Practices presents a unique challenge to the pharmaceutical industry. When designing or changing a process, great care must be taken to balance international regulatory requirements with efficiency and cost. Managing these requirements makes pharmaceutical engineering a discipline unto itself. Whether you are scaling up a new process or modifying an existing one, Deaton Engineering can help. Our risk-based approach to pharmaceutical engineering is a proven strategy for managing process design, development, and change. Deaton Engineering partners with you to determine the best solution to meet your goals. Our engineering teams are highly skilled and experienced with the latest technologies. We deliver innovative equipment and system solutions using nonproprietary technologies (including open standards whenever possible) to accelerate adoption and simplify validation. Deaton Engineering understands current GMP requirements and follows the proven Total Quality Approach to providing engineered solutions. This approach can deliver substantial improvements in productivity while maintaining the highest assurance of product and human safety. Deaton Engineering can design and build an individual piece of equipment or a complete manufacturing line to automate and improve your process. We use GAMP-compliant designs to create turnkey solutions that are reliable, cost-effective, and suitable for GMP validation. Deaton Engineering can also help identify, integrate, and validate your Process Analysis Technology (PAT) solutions. Deaton Engineering provides support services for production and utility systems in FDA-approved facilities. Our engineers can design, improve, or support the systems that run your operation -- including on-site construction management and start-up -- to help you every step of the way. Our engineers provide turnkey validation services that cover the entire validation process. 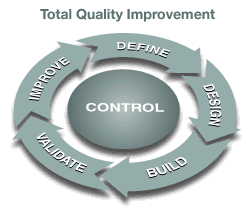 We can develop and execute qualification protocols for equipment, facility systems, and processes. Our documentation packages are extremely thorough and comply with regulatory requirements. Deaton Engineering can perform validations of automated control systems in accordance with 21 CFR Part 11.